It’s easy to say that Egal 3 (Sorin Rastoaca) is one of the most talented artists in the underground dance scene at this moment. Growing up in Romania his childhood was filled with music. 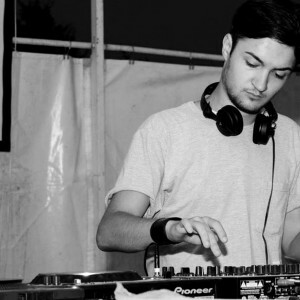 Born 1992, but he already has a big list of releases on top notch labels sush as Edec, Fear of Flying, Monique Musique and Memoria Recordings, where he is one of the main artists. At his young age he already collaborate with big artists such as tINI, Livio & Roby , Andrea Oliva and Andrew Grant, just to name a few. As a producers he is already at the top of the mountain, but also as a DJ he is starting to make name for himself. He developed an unique sound as a DJ influenced by his Romanian background and is traveling to almost every country in Europe last year playing allongside all the big names. What will happen next is written in the stars, but one thing is for sure: Egal 3’s star is rising and will be on top for a long time!